Like it or not, Iron Fist season 2 is happening. And now we know when Netflix plans to start shooting the second season of the hit series, which succeeded despite a critical lashing upon its arrival earlier this year. Now, we have confirmation, thanks to a newly updated production listing, that Iron Fist season 2 will begin filming in December. While other details on the show's second season have been scarce, as filming is drawing near, some more firm details should be making their way online soon. We haven't been given any official details from Netflix at this point, but it looks like Iron Fist season 2 will officially start production on December 6. Given that most of the Marvel Netflix shows have taken roughly 6 months to shoot, that means we could possibly see the series debut its second season in 2018, but it's more likely we'll see it in early 2019. This new production date lines up with what star Sacha Dhawan, who plays Davos, had to say in an interview earlier this year. "It's definitely not been confirmed whether or not I'll be in it, but they're hopefully starting in December. You know with things always changing, Marvel are pretty good adapting to any kind of situation." Jessica Jones season 2 and Luke Cage season 2 are in the can and Daredevil season 3 is about to get underway. And it's been awhile since we've seen new Daredevil episodes. That being the case, it's very likely we'll see Jessica Jones, Luke Cage and Daredevil all debut new seasons in 2018. It's hard to imagine that Netflix would also squeeze Iron Fist season 2 in there. Doing four new seasons of Marvel shows every year could be approaching overkill. Daredevil, Jessica Jones and Luke Cage hall all been solid hits for Netflix, with the majority of both critics and fans embracing them. Iron Fist, on the other hand, was not. Season 1 of the show has a very poor 17 percent approval rating from critics on Rotten Tomatoes. However, the audience rating is 77 percent, so fans still seem to still enjoy it well enough, despite the critical thrashing. Still, many of those fans who liked it would probably tell you that they had some issues with Iron Fist Season 1. Hopefully, Netflix can manage to do a bit of course correction as they head into season 2. We last saw Finn Jones as Danny Rand in The Defenders and, though it still wasn't perfect, Iron First worked a little better as part of a team. 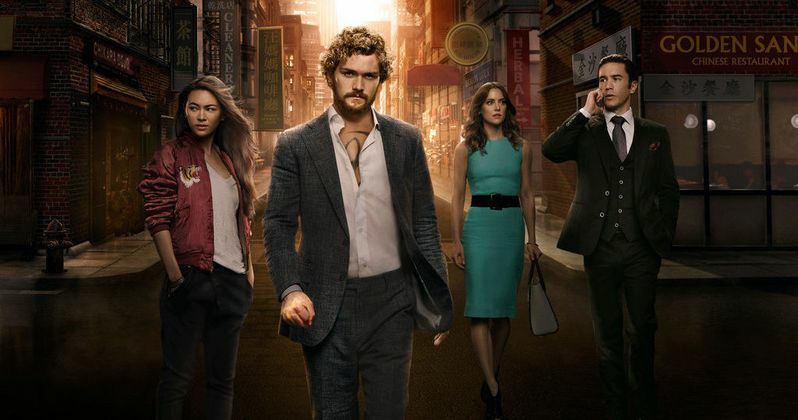 As Spoiler TV points out, the new season is set to begin filming in less than a month, so Finn Jones is probably busy getting in shape for filming. With a new showrunner, maybe Iron Fist season 2 can avoid the pitfalls of the first season and be the show we were all hoping for the first time around. If anyone can course correct, it's Marvel.